Taking advantage of depreciation can help you maximise your tax deductions and thus your profit in an investment property. But it is important to know that depreciation DOES affect how much capital gains tax you will pay when it comes time to sell your property. Today I talk about how depreciation affects capital gains tax and give you a brief overview of the process for calculating how much you will be affect. (Always seek the help of a professional tax accountant, this is for educational purposes only). It still amazes me how many investors don’t actually take advantage of depreciation both on the building and the plant and equipment, which is the stuff inside the building. 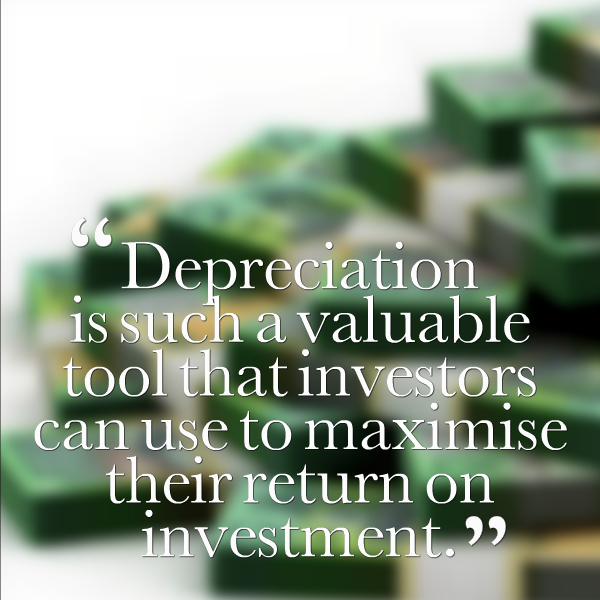 Depreciation is such a valuable tool that investors can use to maximise their return on investment. If you are one of those people who is taking advantage of depreciation then you need to consider the implication that that’s going have when you go to sell your property. Because it will have an implication on the capital gains tax that you going to have to pay. Let’s start by looking at what exactly capital gains tax is. Capital gains tax is a tax that is charged on the difference between your selling price and your cost base. I say cost base, not cost price for a reason and we’ll get into that in just a minute. When your property goes up in value the government obviously wants the tax that increase in value and so what they will do is assess the growth that your property has had and then tax you on that and that’s what we call capital gains tax. So for example if you purchased an $200,000 property and sold it for $500,000 then there is a $300,000 difference there that may be liable for capital gains tax. I say maybe because you need to go ahead and speak to an accountant, this is for educational purposes only. 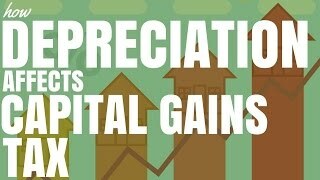 How Does Depreciation Affect Capital Gains Tax? I use the term cost base for a reason, because what you are going to do is you are going to have your cost price of the property, but in that is included the value of the building which you are going to depreciate and the value of the plant and equipment, which you may to depreciate or which may change in value. So, let’s look at those two in more detail. There’s two different items that you can depreciate, so to speak. There’s your building, which is the actual construction itself, your walls, your floor, your concrete slab, all of that good stuff, and then there is the plant and equipment and than there is your interior,things like a air conditioners, curtains, carpets, furniture, supply furniture and all of these different fixtures and fittings that maybe be inside a property. Let’s look at building depreciation first. When you claim depreciation on your building what you’re doing, basically, is saying that this building was worth a certain amount and I’m depreciating it because the value of the construction itself is actually going down in value over the years because the building is getting older. So let’s say you have a cost price of the house you pay $200,000 for it, but you depreciated $50,000 for the building over a number of years. Well, your cost price of $200,000 included the building value and you’ve depreciated that building value by $50,000, so your cost base is now $150,000 ($200,000 – $50,000 claimed depreciation). So as you depreciate the building your cost base of what you purchased the property for is going down. Now with plant and equipment it works a little bit differently. Because plant and equipment is something you are continually updating and not something that is just going to go down in value you need to work it out differently. And the way they work it out is basically to look at the value of the plant and equipment when you purchase the property and compare it to the value of the plant and equipment when you sell the property. If you were to increase the value of the plant and equipment (eg. through renovation) then that would increase your ‘cost base’. If the value of your plant and equipment is less at sale date than when you bought the property then this would decrease your cost base. In most circumstances a larger cost base leads to less capital gains tax because your profit is effectively (on paper after depreciation) less. You need to take into account the building depreciation that you’ve claimed and you also need to take into account the difference in value between the plant and equipment from when you purchase the property until when you’ve sold the property. This is not an easy calculation and it’s not something that you should do by yourself. You should get an accountant and a quantity surveyor involved, because they can tell you exactly what you can depreciate and the value of what you have when you sell the property. You should really get a quantity surveyor when you’re first purchasing the property because they can then assess what the construction cost is, what the building is worth, how many years you’ve got left to claim on that. You can get an assessment of the plant and equipment and that will help you maximise your depreciation.